There is power in numbers … when those numbers equal people embodying a shared consciousness of our Extraordinary Nature and a shared understanding of the MetaSpiritual Principles we live by. 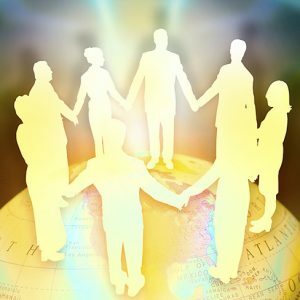 Bringing this energy together in a structured and intentional way creates a Master Consciousness Group … a unique group of people using Master Consciousness principles for achieving spiritual, business, and personal goals. Master Consciousness groups can be held in-person and/or by telephone, Skype, or other technological mode. In our opinion, visual access is best, but definitely not necessary. Power is essential for success and achievement of one’s goals. Plans are of no value without sufficient power to translate them into action. Power refers to the organized effort sufficient to manifest one’s desires; organized effort is created through the Master Consciousness process. Master Consciousness Power is defined as follows: When two or more people share the same level of conscious awareness of Oneness and belief in MetaSpiritual Principles, this conscious union with the Field of Infinite Potential creates a synergy that harnesses more of that Power, which constitutes the power of the Master Consciousness. You become an active participant in the Giving and Receiving Cycle, as you envision success for, and receive the support and encouragement from your partners ~ people of like mind and consciousness. You dramatically increase your chances of manifesting your declarations/affirmations, as your Master Consciousness partners support you through prayer and visualization. Based on unconditional positive regard (a psychological concept meaning we feel supported by others who want to see us succeed), we hold each other accountable in a guilt-free setting. 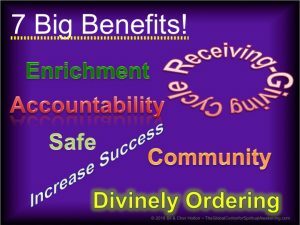 You Divinely Order your results. MC partners experience increased spiritual enrichment through supporting and coaching other group members. You create a sense of community by developing deep, meaningful relationships with others, grounded in Truth principles. Progress Sharing—Each member has 3-5 minutes to share with the group any updates/progress related to the requests from the last meeting. Members read statements aloud together. When the group reaches the “We Declare” section, each member has an opportunity to state their issue, desire, or request to the group for their support. Members may then silently visualize the successful outcome of the request. If desired, members may take time to verbally share statements of affirmation and support as well. Each member receives the complete attention and focus of the group, one at a time. When each member has had a turn, the host continues with the final two steps of the Master Consciousness process. Confirm logistics of the next meeting. Choosing the members of your Master Consciousness group is a very important decision; therefore, we recommend that your first step be time spent at Headquarters. In the Silence, pay attention to any inclinations or intuitions that come to mind regarding the perfect Master Consciousness partners for you. What is a Master Consciousness Partner? A Master Consciousness partner is someone to call upon when spiritual help or support is needed or an occasion for thanksgiving arises. Master Consciousness partners usually stay in close touch with each other. Knowing that spiritual support is as close as the telephone, text, or email is a great comfort when you are going through difficulties. There is also joy in sharing the good news of answered prayer with one who understands and joins you in your spirit of gratitude. Master Consciousness partners listen and care—and will, when needed, take the steps with you over the phone. A Master Consciousness partner is someone who keeps a confidence. Because of the close nature of the Master Consciousness alliances, deeply personal things may sometimes be shared. The maintenance of the spiritual bond between partners is dependent on each member’s ability to honor confidences. A Master Consciousness partner believes in the availability and accessibility of ever-present Supply from the Field of Infinite Potential. Partners have received answers, found solutions, and experienced major healing in every area of life. Health, prosperity, peace of mind, enhanced self-esteem, career goals, and harmonious relationships are examples of areas of demonstration. The ideal size of a Master Consciousness group is 3 to 6 people. However, a Master Consciousness “group” can also consist of only 2 people, who meet regularly to support and encourage each other. 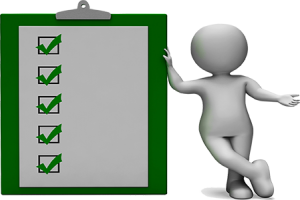 If a group gets too large, it becomes difficult to manage logistics of scheduling as well as moving through the process. A Master Consciousness group is not the place where members sell or promote their goods and services to the other members, nor is it a networking mechanism. It is vital to the success of the group that all members be committed to helping each other achieve their goals, without financial conflict. The purpose is support, not sales! Charging Money to Participate in Master Consciousness Groups? 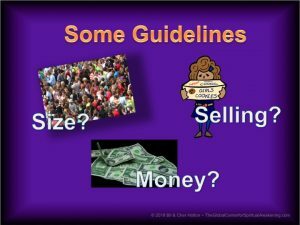 Traditional Master Consciousness groups do not charge a fee. The basis of the Master Consciousness philosophy is in the spirit of equality, with all members availing their resources to the group. If there is a charge for a meeting room, then that cost should be split equally among the members. The most successful Master Consciousness groups meet either weekly, bi-weekly, or monthly, with meetings lasting 1 to 1-1/2 hours. If meetings are less frequent, members tend to lose their focus and momentum between meetings. If the group is kept to 4 people or less, one hour will be adequate and give all members time to share requests and support one another. A closed Master Consciousness group will give everyone in the group an opportunity to build rapport and trust. It also encourage bonding and relationships among the members. A closed group means that once the group is formed, no new members may join the group unless all current members agree upon the new member’s joining. Usually the potential new member is invited to come to one meeting, where he/she and the members can meet. After the meeting, the potential member leaves. This gives the current members an opportunity to discuss how they feel about the potential member’s joining the group. If a new member is added, it is important for the group to spend some time reviewing the basics of how the group operates, so the new member feels comfortable and understands the process. Some gentle team building activities serve as a powerful tool, to integrate the new member into the group. 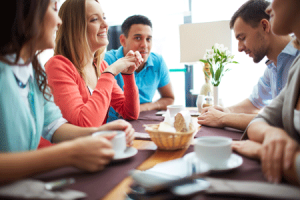 It is beneficial for members to be able to contact each other outside of meetings. A list of members, with telephone numbers and email addresses, provided to all members, will encourage deepening of the bond among Master Consciousness members. A true Master Consciousness group has no single leader. A Master Consciousness group is a group of equals meeting to support each other in accomplishing their goals. In order to assure that this energy of equality is maintained, hosting the group should alternate with each meeting. In this way, the responsibility of the group does not fall on any one person, and no one is looked up to as the leader. At the conclusion of each meeting, the host for the following meeting can be identified. Facilitation — Lead the Master Consciousness process, using the agenda (or designate someone to lead the process). Regular attendance and confidentiality among the Master Consciousness members is critical to the group’s success. When members agree that whatever is discussed within the group is not shared outside of the group, it builds comfort and trust. Members also need to be committed to regular attendance of the meetings, to ensure continuity and synergy of the group. We Release and emphatically erase any and all thoughts, attitudes, habits, and belief in the power of outer appearances which we have allowed to limit or block our Highest and Greatest Good. We forgive ourselves for all mistakes we have made; we also forgive and release everyone who has injured or harmed us in any way. 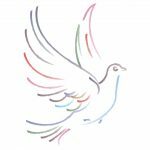 We Understand that we are spiritual beings having a human experience, and our Divine Nature is the foundation of our prosperity, happiness, health, and security. As we align with our Higher Self, we experience transformation in the spiritual, mental, physical, and financial realms. We Believe there is only One Power in the Universe, the One Reality that is the Ground of All Being, the very essence of Omnipotence, Omniscience, Omnipresence, and Omni-Activity. We are that Power in human form. We Choose to joyfully, faithfully, and lovingly live at the speed of our Extraordinary Divine Nature, and to let our Higher Spiritual Essence radiate to all of those we meet. We Declare our manifested prosperity, health, and abundance, knowing that whatever we declare prayerfully and faithfully from our Higher Spiritual Nature, believing, is ours by right of Consciousness. We now share our declarations with our Master Consciousness partners. We Give Thanks joyfully and constantly from an awareness of our Oneness with the Field of Infinite Potential, knowing our declarations are manifesting with speed, ease, comfort, and joy. We assume the same feelings we would have if our declarations were already fulfilled. YES! We Dedicate ourselves to use our gifts to bless the world, to live in a manner that honors our True Divine Essence, and to remain faithful expressions of our Higher Spiritual Nature. We go forth with a spirit of enthusiasm, excitement and expectancy as we walk the spiritual path on practical feet. We are at peace!